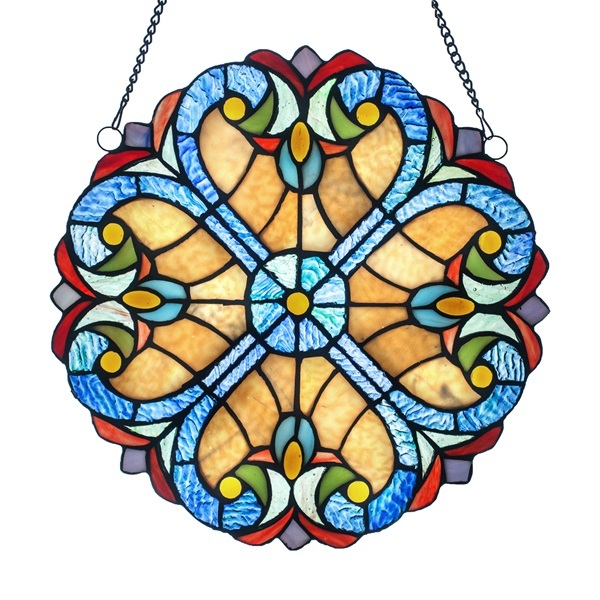 Beautiful accent piece! 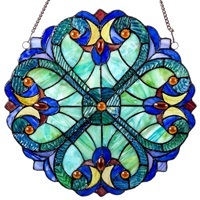 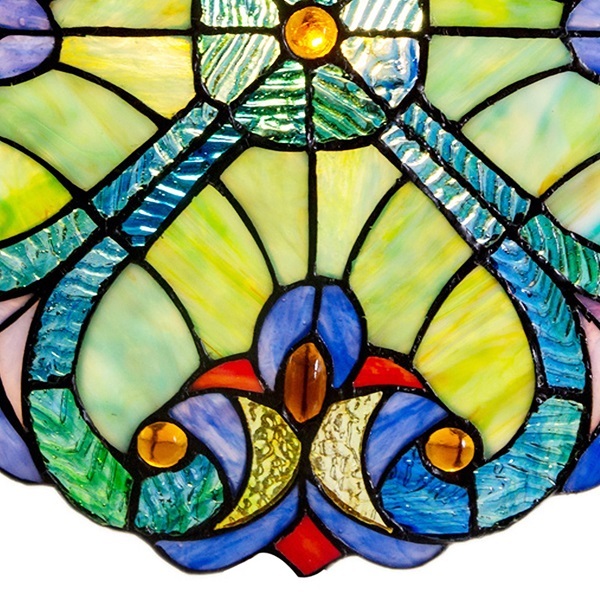 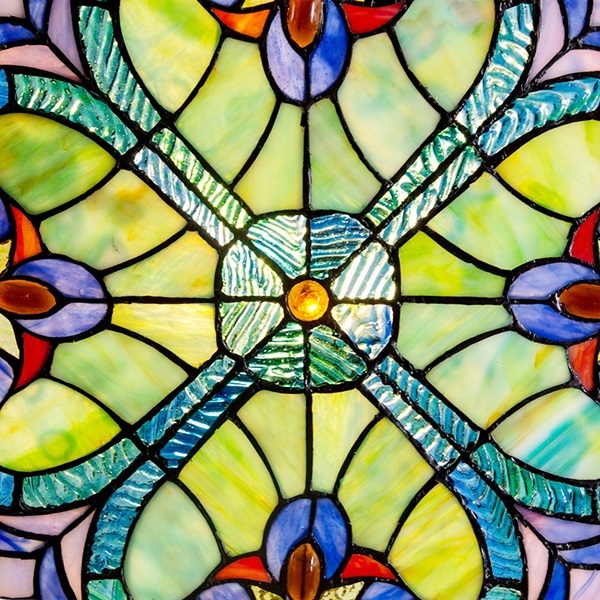 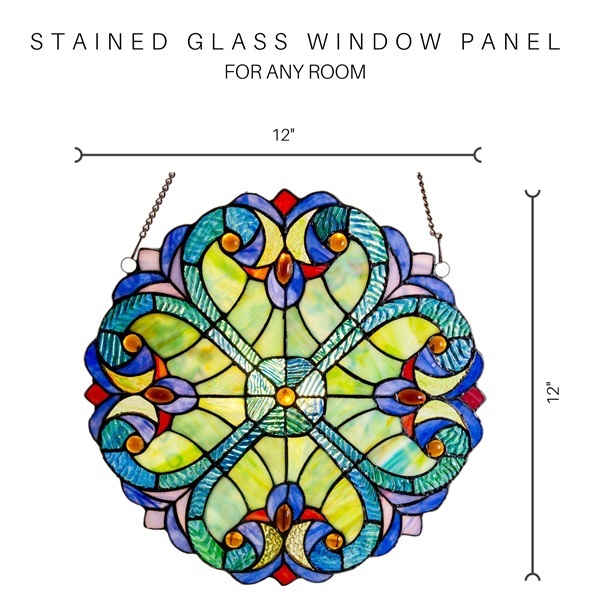 This window panel is crafted with gorgeous striated aqua blue and green glass with touches of orange. 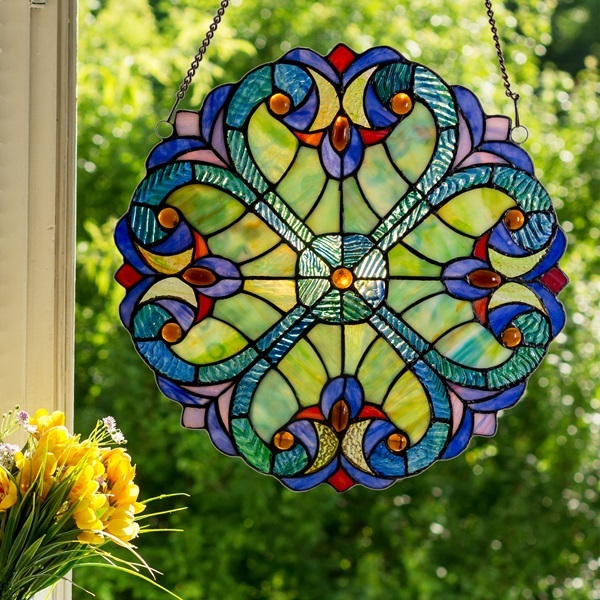 The Edwardian heart design gives it a romantic touch and each heart is outlined with textured ripple glass. It is handcrafted with 128 pieces of glass and 13 cabochons. 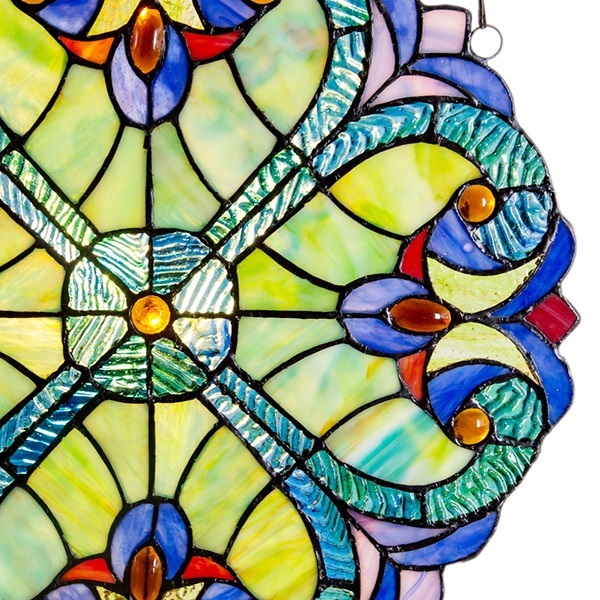 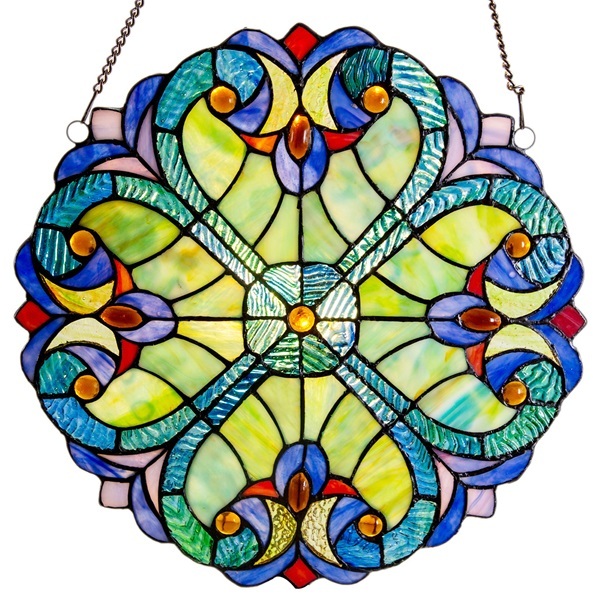 Place it in a window and allow the sun to light up this piece!